To be productive and successful within a team, make the best use of what you’ve got to work with – use your talents to make an impact. In this post, we’ll take a closer look at the inner circle again. In the center of the model for individual success in teams is you. With the help of some practical tips and exercises, you can become “The I in Win”. You and I, we have to work with what we’ve got. The positives and the negatives. In the past, many managers have urged me to become better at the things that I did wrong in their eyes. At one time, this lead me to believe that I wasn’t a very good consultant. Other people seemed to be far better in the things that I found hard. For example, when I saw how good some colleagues were in making a personal connection on all levels in the organization, I felt a bit jealous. Then one day, I met a coach who showed me that I do have some useful talents. She told me to make use of my talents. It dawned on me that when I stopped fighting my own limitations, I could use my time and energy on using my real talents. And by doing that, the practice made me better at using them. The first talent that I learned to embrace was my talent for finding creative and innovative solutions. This has helped me in developing Super7 Operations at ING. What’s more, it may be hard to spot the value in some of your talents. They may feel as hindrance. In my case, I am quite good at perceiving emotions and stress in meetings. But I couldn’t use that to my advantage. Whenever I noticed some stress or irritation I directly assumed that I was doing something wrong to cause that. And that made me nervous and even defensive. And being defensive is not the best way of cooperation. First I had to accept that I was sensitive for stress and emotions in others. I found out that I might be a Highly Sensitive Person (HSP). It wasn’t going away, I needed to live with it. When I accepted what I had to work with, I could even see that it could be a useful trait as well. That I could be very empathic. And that is very useful when working in teams, as I discovered. I experimented with using my sensitivity in meetings, conversations and in coaching colleagues. Accepting my own talents has helped me greatly in my career and in life. Accepting one’s own talent is a crucial element in becoming successful in any organization, but especially in team-based organizations. This entry was posted in Teamwork & cooperative models and tagged personal development, Super7 Operations, Teams, Teamwork on March 29, 2017 by M.R. van Dijk. Michael Jordan said it best: “there is no I in ‘TEAM’ but there is in ‘WIN’”. In sports, the most talented individuals are recognized as being the most valuable. In team-based organizations, e.g. Agile organizations or Super7 Operations, this is not yet the case. But it has to, if these organizations want to keep their most talented individuals on board. In traditional organizations, the results of talented individuals were very visible. Based on their individual results, they would quickly get promotions and pay raises. In a team-based organization, however, success is always the success of a team, not of an individual. On the short-term, this work fine, much better even than traditional organizations. But after a few years, the real talents get restless and will demand recognition – or they will leave. Change is needed on how individuals and organizations see and reward success. You as an individuals need to know what defines success for you. And organizations need to recognize unique talents within teams, and reward them proportionally. It starts, however, with you. From my years of experience with team-based organizations, I’ve developed a practical model that you can use to become successful within your team organization. make sure that you are rewarded for making the best use of what you do best, not for trying to improve on what you do worst. In a team organization, you don’t have to excel in everything. find the best people to work with. Use the success of your team to increase your circle of influence. You will be able to choose your team and the organization that suits you best. 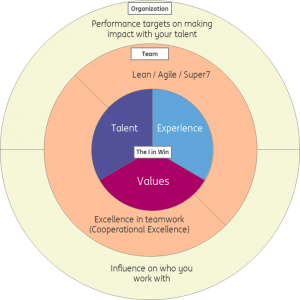 This entry was posted in Teamwork & cooperative models and tagged coaching, flexibility, Lean, personal development, Super7 Operations, Teams, Teamwork, tribes on October 10, 2016 by M.R. van Dijk. A couple of days ago, I attended a lecture by Barry Calf. Barry used to be director at BK Bodem. Under his management, this ground engineering company transformed to a Semco-style organization. The employees reorganized themselves into autonomous regional chapters. The organization transformed itself at an incredible pace, while successfully completing a merger at the same time. Financial results were greatly improved. Customer satisfaction improved. Employee engagement improved. Management was reduced, first to only one director, then to none. In Barry’s view, classical organizations restrain people. Instead, we should empower people to use their talents to the benefit of the company. And his story is the proof that this actually works. Employees can organize themselves. Just give them the power. Make the stakes clear – what is essential for the owners of the company? And for the employees? You will find that continuity of business is in the interest of all. Owners need the continuity of business to make sure their investment pays off. Employees need it to have job security. Stakeholders can trust each other that the right decisions are made, because everybody wants the company to be successful. Decisions can be made democratically. Majority vote decides. Determine which information is essential for managing the business and making decisions. Create one simple dashboard, with one set of performance indicators. Only use the essential indicators. In the new organization, the autonomous chapters and teams decide on salaries, variable pay, new hires, and much more. This could work within a Super7 Operations department as well. A very inspiring story indeed. This entry was posted in Implementation, Teamwork & cooperative models and tagged less management, Teamwork on November 12, 2015 by M.R. van Dijk. As Super7 teams get more mature, it may be wise to assign Super7 Coaches and scale down even further on opertions managers. More and more organizations are succesfully applying small, autonomous Lean teams – Super7 teams – within their operational departments. More autonomy, more employee engagement, better results. In this transition towards Super7 Operations, the role of the operational team manager has changed enormously. Within the Netherlands, ING has been working with Super7 teams for almost 5 years now. As more experience is gained, new questions are raised. One in particular (thanks Ingrid and Jacqueline!) really made me think: should ING assign Super7 coaches, in parallel with the Agile coaches that are widely applied in Agile organizations? The parallels between Super7 Operations and Agile are eminent. After all, both are based on very similar principles, derived from the same classical Lean production principles. So why not learn from the ‘management’ roles that Agile appies. As you may know, Agile doesn’t use managers. Part of the of the old manager’s responibility is delegated towards the autonomous teams. The people/skills development part is now the responsibiltiy of the Chapter Lead. And Agile coaches are responsible for helping the team to become mature in autonomy and agility. It may be wise to assign Super7 Coaches and scale down even further on opertions managers. Our experiency with Super7 teams shows that it is hard to maintain the momentum in team development. Some teams do fly, some teams reach a certain level and then developments seems to slow down or stop altogether. In theory, the team manager should help the Super7’s with their development towards maturity. But is this the best solution? Super7 coaches may be better equipped for this job. But what would that mean for the oprations team managers? As with Agile, part of the old manager’s responisibility – planning, senior process knowledge, scheduling – has already been delegated to the Super7 teams. When Super7 coaches take over the responisibilty of coaching the team towards maturity, the role of the team manager becomes smaller again. The team manager would still be responsible for the development and appraisal of individuale. And, he or she would still be the one that set the output targets for the teams, translated from the departmental goals. To keep work load large enough, we would however need less managers – more direct reports per manager. This would mean that some of the team managers would lose their job, and I do understand that can be a dificult situation. However, a trend towards less management does seem fitting for an organization that works with autonomous team, don’t you think? 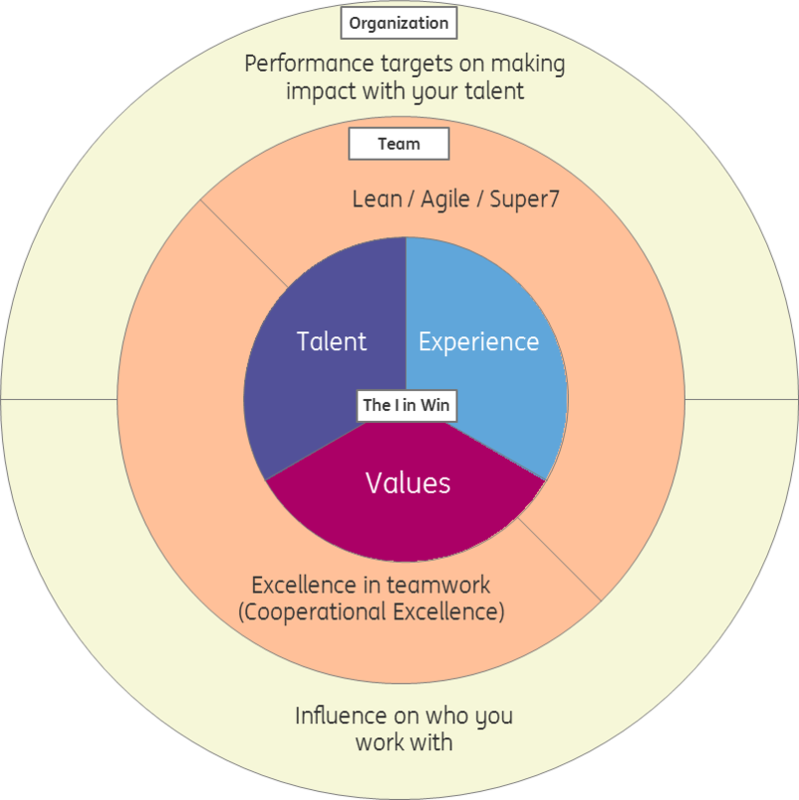 This entry was posted in Implementation, Teamwork & cooperative models, Uncategorized and tagged agile, Book on Super7, less management, management, operational excellence, operational management, Super7 Operations, Teamwork on July 30, 2015 by M.R. van Dijk. Leaders of developing autonomous teams can use the Situational Leadership theory to help and support the teams in their growth towards autonomy. Autonomous teams – Super7’s, Agile Squads, Scrum Teams, etc., can’t be fully autonomous from day one. So, how does a manager manage an autonomous team or Super7 that is still developing towards true autonomy? The answer: apply Situational Leadership. Situational Leadership is based on the Hersey Blanchard Leadership Style matrix (see figure). A newly formed not-yet-autonomous team benefits from the directing leadership style. For instance, an Agile Squad in this phase needs to be told how to work the agile way. And the operations team manager of an immature Super7 team may need to tell the team to use their team board for daily planning. As the autonomous team develops, the required leadership style changes accordingly. From Directing to Coaching, then on to Supporing and finally Delegating. In practice, however, this can be quite challenging for a team manager. In my experience with Super7 Operations, the most difficult part of the implementation of Super7 is often to apply the right management style at the right time. And, every manager has his or her preferred style: the style that he or she does best. In a traditional operations department where managers steer on input and use strict quantitative controls, directing and coaching are most often needed. In a mature Super7 organization, however, Delegating and Supporting are the most useful styles. 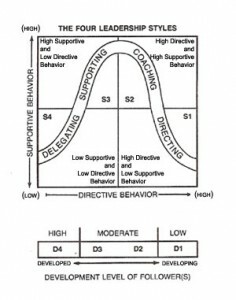 As a result, the managers that are good at Directing and Coaching often make the most progress at the start of the implementation. But in the long run, a Super7 Operations department thrives under managers that are good at Delegating and Supporting. This asks a lot from the managers. It is good to acknowledge this fact. A successful implementation needs to address not only the methodological side of Super7 , but also take into account the ‘warm undercurrent’ of the change on a personal level. 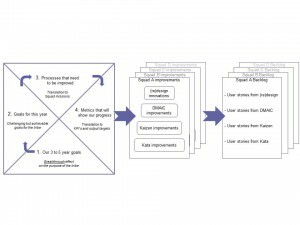 This entry was posted in Implementation, Kata Coaching, Lean, Operational Management, Teamwork & cooperative models and tagged agile, operational excellence, operational management, Super7, Super7 Operations, Teams, Teamwork on June 17, 2015 by M.R. van Dijk.